The world´s first electric road is being inaugurated near the city of Gävle in central Sweden, the result of a unique partnership demonstrating the path towards fossil-free transportation. Scania is supplying with the electrically-powered trucks, which will operate under real traffic conditions. 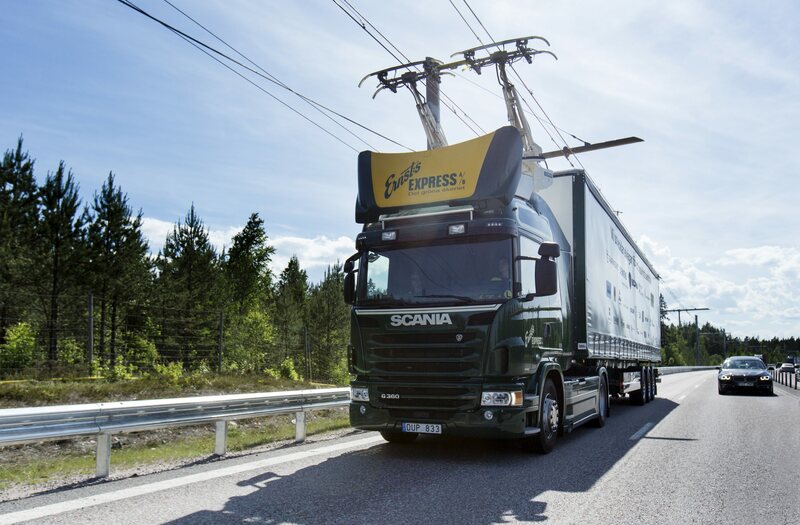 Opening today, 22 June, the two-kilometre strip on the E16 motorway sees electrified trucks from Scania driven in open traffic, using conductive technology developed by Siemens. The beauty of the new technology, which is the result of several years of cooperation between the Swedish Government and the private sector, is that it permits the trucks to operate as electric vehicles when on the electrified road and as regular hybrid vehicles at other times. All the Scania trucks on the road are hybrid and Euro 6-certified, running on biofuel. The truck receives electrical power from a pantograph power collector that is mounted on the frame behind its cab. The pantographs are in turn connected to overhead power lines that are above the right-hand lane of the road, and the trucks can freely connect to and disconnect from the overhead wires while in motion. 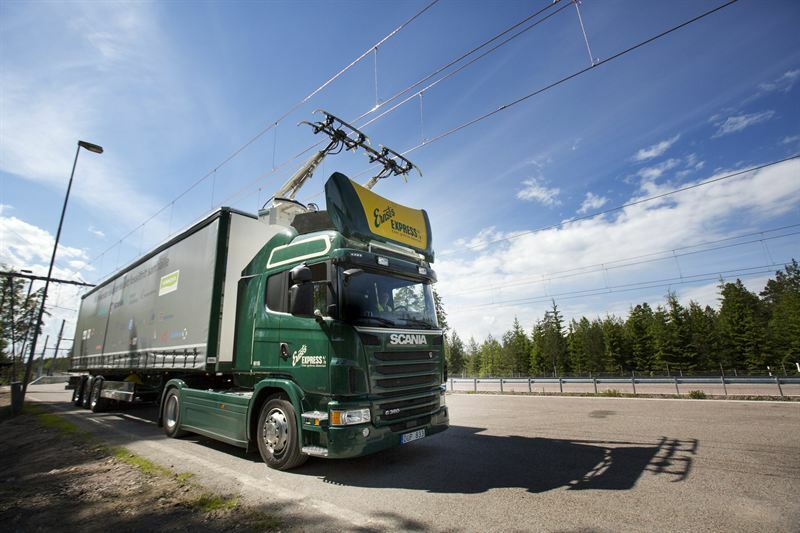 When the truck goes outside the electrically-powered lane, the pantograph is disconnected and the truck is then powered by the combustion engine or the battery- operated electric motor. The same principle applies when the driver wants to overtake another vehicle while on the electrified strip of the road. Scania´s sees the electric road as being a key component in achieving Sweden’s ambition of an energy-efficient and fossil-free vehicle fleet by 2030. It can also help to strengthen Sweden’s competitiveness in the rapidly-developing area of sustainable transport. The investment in the Electric Road E16 programme in Gävle is a result of a programme for the public procurement of innovative solutions that was launched by Swedish authorities. The programme consists of about SEK 77 million in public money, with about SEK 48 million in co-financing from the business community and the Gävleborg regional authority, which administers the area of Sweden where the electric road is situated. The Swedish transport authority Trafikverket, the Swedish Energy Agency Energimyndigheten, innovation agency Vinnova, Scania and Siemens are the main funders of the technology, while Region Gävleborg is the project coordinator. The electric road is only one of several pioneering technologies that Scania is working on to help the spread of sustainable solutions within both urban and long-haul transport. The company is also developing technologies for alternative fuels, hybridised and fully-electric vehicles, and autonomously and wirelessly-connected transport in parallel with its work to further enhance and refine the products of the future. World’s first electric road opens in Sweden.